Make Multiple Copies of Your Compact Flash/CF Cards in minutes, designed for today's technology. 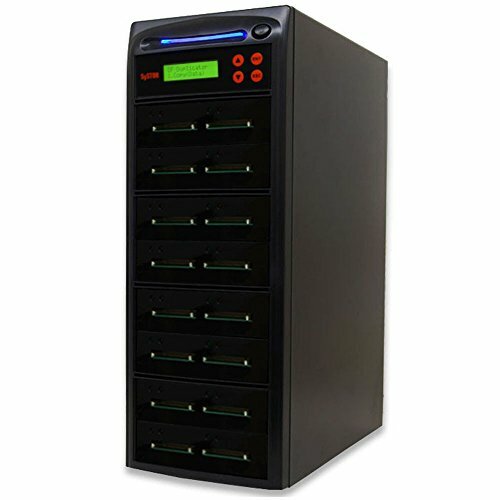 The newly added Compact Flash/CF Duplicator conveniently copies the most popular digital media, Compact Flash/CF memory cards, without a computer. Advanced asynchronous duplication means no waiting and no interruption as each channel can independently load, unload, and copy. The new Compact Flash/CF Duplicators also features user friendly 4-key control with LCD, high speed duplication and bit-by-bit Compare function to confirm successful copies. Reliable, affordable, and convenient, the Compact Flash/CF Duplicators are the best companion for any industry. If you have any questions about this product by Systor, contact us by completing and submitting the form below. If you are looking for a specif part number, please include it with your message.